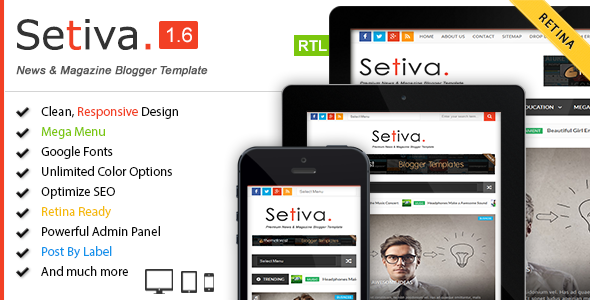 Setiva Responsive Blogspot Template is perfect for magazine, online news as well as for personal websites. Setiva Responsive Blogspot Theme includes a 16x different post style, here you can use your desire post style like Recent OR Label style. It also includes a social counter widget and you can easily setup your favorite social profiles.